Activities that you do and you should stop doing. Activities that you should add to your practice within the Squad. Activities that you are already doing, and that work well. Just keep it doing ! Activities that you are already doing, but you could improve them. 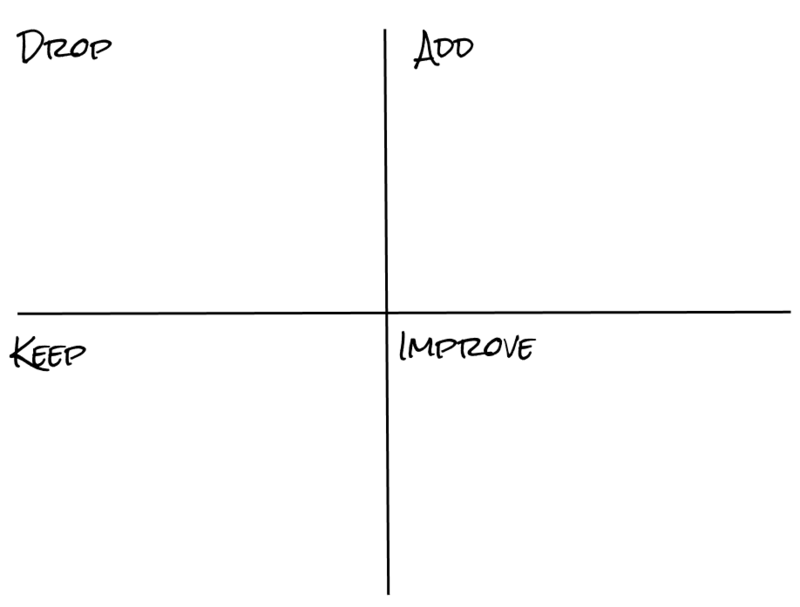 – Make groups of 2, and let your team think about the 4 points during 5 to 10 minutes. Make them write their ideas on sticky notes / virtual notes. YOU DID GREAT JOB ! 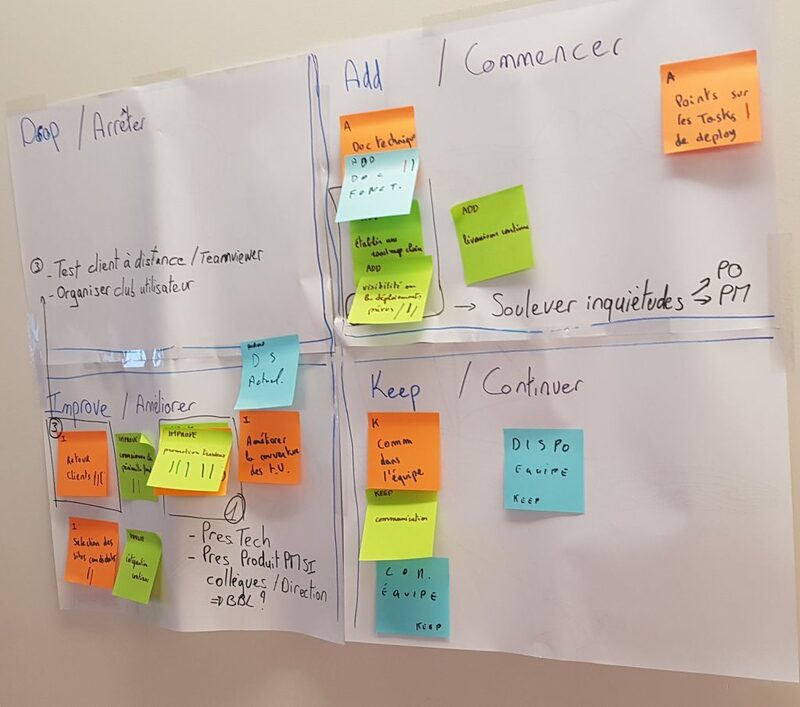 Cette entrée a été publiée dans AgileRetrospective et étiqueté Agile, Retrospective. Sauvegarder le permalien. ← Bienvenue sur le blog de la Catalyse Digitale !